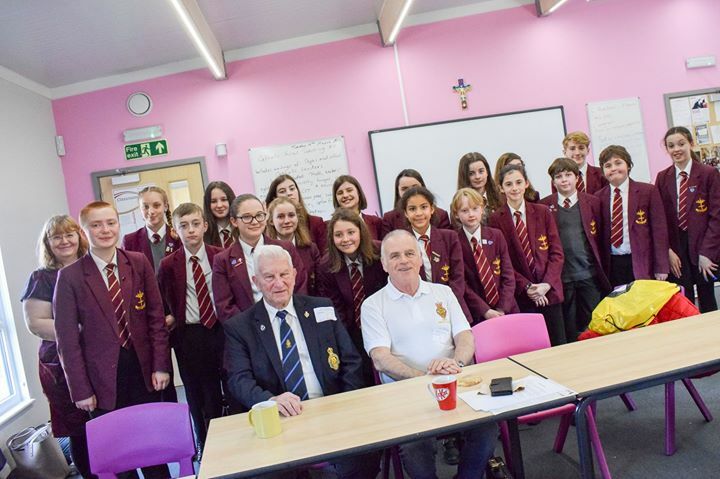 Students at Saint John Houghton Catholic Voluntary Academy are to forge links with the Royal British Legion after meeting two of the organisation’s members. Arthur Norman, 86, and Paul Scott, 67, visited Saint John Houghton CVA to meet members of the school’s Justice and Peace group and students studying history. The pair first came into contact with the school when they helped provide poppies on Remembrance Day and were invited to meet students by school lay chaplain Rachel Rose. There are now plans for students to visit local care homes to talk to RBL members who live there and to fundraise for the RBL. Paul was in the Royal Artillery and he shared stories with the students and answered their questions. Paul also told students about the different coloured poppies that are made for Remembrance Day. 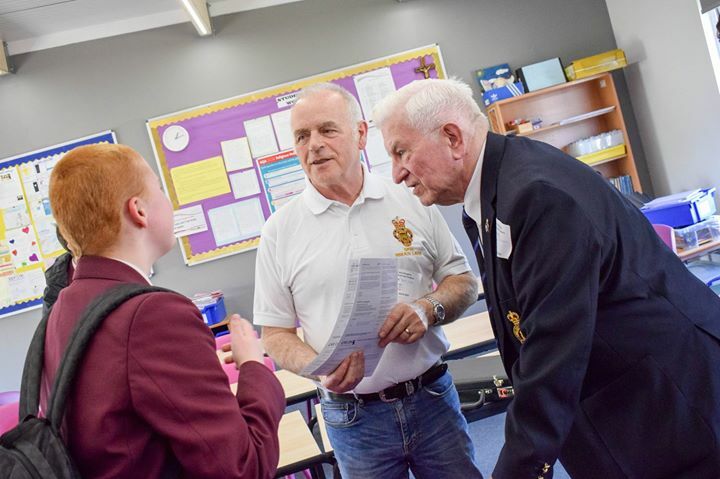 Both Arthur and Paul encouraged the students to consider joining the air cadets.